Novelist, author of stage and radio plays, author of scripts for comic books. 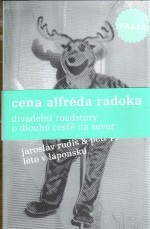 Winner of the Jiří Orten Award (2002), the Alfréd Radok Award and the Czech Radio Prize, and nominated for a Magnesia Litera. 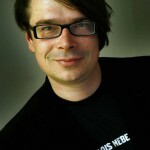 His books have been translated into many languages including German, Spanish, French, Italian and Dutch. He was born in Turnov on 8 June 1972. 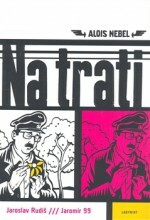 National Avenue is an unrestrained, funny, brash, melancholic and brutal novel. 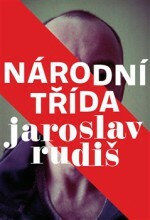 […] Jaroslav Rudiš has written an excellent novel, which would also be perfect for a theatre adaptation. 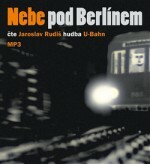 He graduated in German and history and had a number of different jobs; while staying in Germany he wrote his debut work Nebe pod Berlínem (The Sky Under Berlin, Labyrint, 2002). 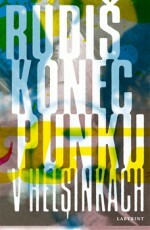 This was unexpectedly well received, and the critics described Rudiš as a punk Bohumil Hrabal. These rock stories from the Berlin metro are told by a teacher who has emigrated to Berlin and is making his living by playing the guitar in the underground. Special characters in the story are the spirits of people who were run over in the metro. 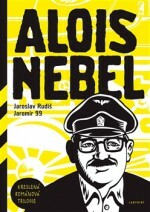 This was followed by a comic-book trilogy which Rudiš wrote together with the artist Jaromír Švejdík, entitled Alois Nebel (Labyrint, 2003, 2004, 2005). 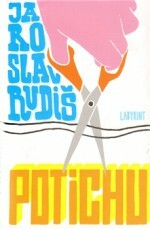 Not only was this a hit with readers and critics, but it was also adapted for the theatre and for a 2011 film by Tomáš Luňák. The comic book recounts the story of the twentieth century through the twists and turns of the life of a railwayman from the Sudetenland. 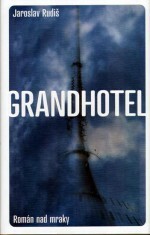 This was followed by the stage play Léto v Laponsku (Summer in Lapland, Labyrint, 2006) and a novel published in the same year, Grandhotel (Labyrint, 2006), about the oddball Fleischman, an amateur meteorologist who works in the Grandhotel on the summit of Ještěd. His lifelong autistic preoccupation, or rather obsession, is watching clouds and keeping detailed records of them. Another of his obsessions is his platonic affection for a TV weather girl. To Fleischman the region of Liberec, which he has never set foot outside of in his life, is both a home and a prison. His problematic relationship with his stepfather and his enthusiasm for the Liberec football club drive the plot forward.